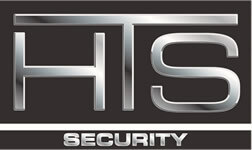 HTS Security installs and services security systems in St. Anthony, MN. We service the entire Twin Cities and surrounding areas, as well as western Wisconsin. HTS offers basic to sophisticated alarm systems, camera/surveillance systems and access control. St. Anthony, also known as Saint Anthony Village, is a city in Hennepin and Ramsey counties in theState of Minnesota. The population was 8,226 at the 2010 census. About 5,000 residents live in the larger Hennepin County part of the city, while about 3,000 residents are in the Ramsey County part. The city is run by a five-member Council consisting of a mayor and four Council members who serve 4 year terms. St. Anthony was also the name of the older twin city of Minneapolis, located across from downtown Minneapolis on the east bank of the Mississippi River. Minneapolis and St. Anthony merged in 1872. There is also a city named Saint Anthony in Stearns County.